If you have small hands, that is. 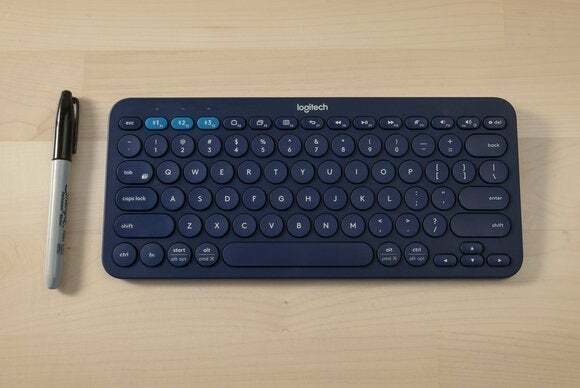 Logitech’s $40 K380 Multi-Device Bluetooth Keyboard (available on Amazon) is designed for the multi-device world we all live in now. 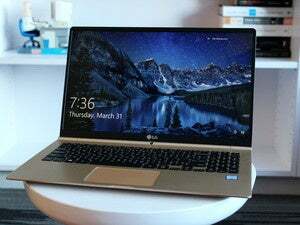 It can juggle up to three at once and work with all major platforms, including Chrome OS and Apple TV. Measuring less than 11 x 5 inches, with a thickness of about a half-inch that tapers down to give you the tilted effect, the K380 is the daintiest keyboard in our mix—by a long shot. Despite its diminutive size the K380 packs in a lot of convenience. In addition to the three Bluetooth keys, the K380 also offers ten hotkeys and two Alt-keys (on either side of the space bar) that double up as Apple Command keys. You won’t find Home, End, Page-Up or Page-Down keys, though. 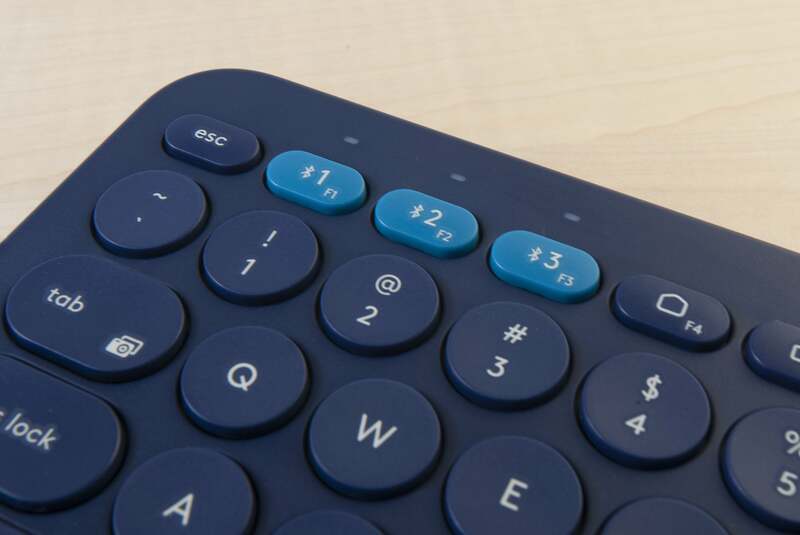 It's completely simple to toggle among devices using the three buttons on Logitech's K380 Multi-Device Bluetooth Keyboard. It took me a little time to adjust to this keyboard. First off, the keys are small and round, and they feel squished-together–I had to retrain my fingers to work within the cramped quarters. People with larger hands may have a tough time typing on the small keys. The keys’ travel is light but not superficial, and the audible feedback is subdued—more of an appealing tap-tappy sound than a clack. I assigned devices to each of the three channels and could switch instantly among them using the dial. Adding a new device was an absolute snap. I just had to remember which device I’d associated with each of the three buttons. 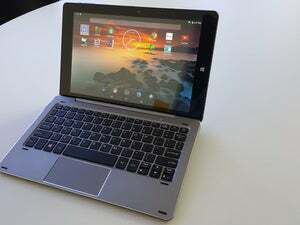 The K380 handles multi-platform wireless keyboard antics with panache, and its portability is a plus. You do lose some comfort with the convenience, though, so this keyboard is probably best for shorter typing stints rather than daily driving. The K380 embraces an impressive number of platforms and lets you juggle up to three devices with ease. Its compact layout could be too squished for larger hands, though.